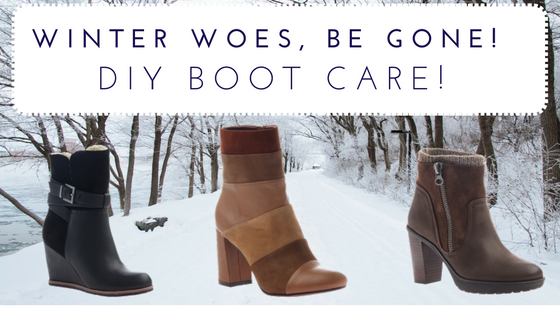 Treat your winter boots better this year, and keep them around longer. Here are some tips to keep your boots looking like new, and keeping you from needing to buy a new pair. Tip 1: Coat them with a waterproofing solution.No matter which boots you choose, you should always add a layer of waterproofing before wearing them out of the house during winter, or any rainy season. You can get waterproofing spray at almost any store that sells shoes, or at various online retailers. You can also use saddle soap if you can’t find a waterproofing spray! Tip 2: Always wipe your boots down! If you’ve been walking in snow with salt sprinkled on it, you need to make sure to wipe away salt stains as soon as you can. That will help improve the life of your boots. Tip 3: Keep your boots clean! 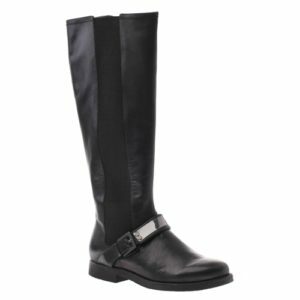 When you aren’t wearing them, polish and clean leather boots or wipe down any other material with warm water. Taking pride in your shoes will actually allow you to have them around for longer! 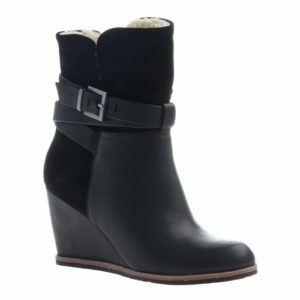 Tip 4: When winter ends, store your boots right! Boots should be stored clean and dry and NOT in an air tight container. They need to breathe, so a pillowcase would be a good option or a cloth shoe bag. Keep them away from heat and direct sunlight, and they will be perfect for next winter. Flat Feet: How do you know?How to Pamper Yourself at Home! Our Fall Collection is Revealed! Yilliang Peng on 4 Tips to Keep Your Shoes Around Longer! hey sharonoox on What to Wear – Valentine’s Day Style Guide! Joyce | Live Laugh Love Post on What to Wear – Valentine’s Day Style Guide! Dhemz on What to Wear – Valentine’s Day Style Guide! Emma on What to Wear – Valentine’s Day Style Guide! Be Superb. Subscribe Now ! Sign up now to receive articles about foot health and the latest trends in foot wear! Also, you will receive our bimonthly newsletter! You will receive 10% off your order when you SUBSCRIBE NOW. Then, SHOP NOW.